Companies producing or trading in easily identifiable inventories use the method of specific identification. Cars, airplanes and ships can serve as examples. Each item of inventory is marked, tagged or coded with its “specific” unit cost. This method allows costing of inventory based on its actual physical flow. Specific identification is an actual physical flow inventory costing method in which items still in inventory are specifically costed to arrive at the total cost of the ending inventory. This method is difficult to apply by companies that deal with massive inventory volumes with low unit costs. For instance, it will be hard for a grocery store to keep track of soup cans acquired at different costs. Therefore, grocery stores and similar entities do not apply the method of specific identification. There is one aspect of the specific identification method that should be mentioned. Namely, management can manipulate the cost of goods sold by selecting which cost will be used in a particular sale transaction. For example, suppose a dealership sells cars. One day the dealership has two identical cars on sale, a Ford costing $5,000 (that was purchased by the company first) and a Ford costing $5,500 (that was acquired by the company after the first Ford). A customer does not care which Ford to get as long as both Fords are identical. However, if the company wants to increase the cost of goods sold (respectively, decrease income), management may sell the $5,500 Ford; if visa versa, then the company may sell the $5,000 Ford. Because the two Fords are identical in physical characteristics and selling price, the customer does not see a difference between the two Fords. However, the dealership may use this to their advantage and manipulate financial statements numbers. The method of first-in, first-out requires that the cost of items purchased first be assigned to the cost of goods sold first. First-in, first-out (FIFO) inventory costing method assumes that the costs of earliest inventories acquired are the first to be recognized as the cost of goods sold. In preceding example, the cost of $5,000 Ford will be assigned to the cost of goods sold. The weighted-average method (also called the average cost method) provides that the average unit cost is included in the cost of goods sold. Weighted-average (average cost) inventory costing method assumes that the average cost of inventories is to be recognized as the cost of goods sold. In order to determine the weighted-average, you need to add all the costs of the items on hand and divide the result by the number of items. In our example, the calculation is as follows: ($5,000 + $5,500) / 2 = $5,250. This amount will be charged to the cost of goods sold when an item is sold. It is important to note that the methods described above only refer to cost flows of inventory, and usually not to their physical flows. 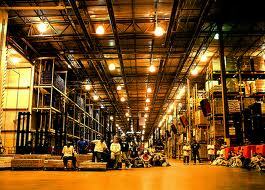 Physical inventory flows usually follow the specific identification or FIFO rules. A selected cost flow method has a direct effect on the cost of goods sold and gross margin numbers. Look at the table below and compare the same dealership’s gross margins determined using different cost flow methods. Assume that sales are $8,000 and only one car was sold. So far we have been talking about two inventory layers with one inventory item (a Ford) in each. In real life companies deal with multiple inventory layers. In addition, companies can choose between inventory cost flow methods using either perpetual or periodic system. Combinations of the cost flow methods and systems result in different numbers in the income statement and balance sheet. The following examples will give you a better understanding of inventory cost allocation concepts. In the discussion below, we will not consider the specific identification method because it is simple and does not require detailed explanations. Two purchases of drills were made. One sale of the drills took place. In addition, at the end of 20X7 the company paid income tax based on 30% of net income. The two inventory purchases have the same effect on the company’s financial records under any cost flow method (FIFO, LIFO or weighted-average). The inventory cost balance increases by $3,760 ($2,160 + $1,600) and quantity on hand increases by 200 units. The two other transactions (sale and payment of income taxes) differ in amounts under the FIFO, LIFO and weighted-average methods. When a sale takes place, two entries are usually made. One is for revenue recognition and the other one is for expense recognition. In out example, the revenue recognition entry has the same sales amount regardless of the cost flow method which is $10,800 for 270 drills. The revenue recognition increases both assets (Cash) and equity (Sales Revenue). This is as asset source transaction. The recognition of cost of goods sold decreases assets (Inventory) and equity (by increasing Cost of Goods Sold). The 30 units from the second purchase remain in the Inventory account. The gross margin and net income equal $6,140 ($10,800 – $4,660). The gross margin and net income are the same in this simplified case because there are no other expenses besides the cost of goods sold. To determine the income tax expense, we need to multiple the net income by the income tax rate. The rate is 30%, so the income tax is $1,842 ($6,140 x 30%). The effect of the income tax payment is a decrease in Cash and Retained Earnings. Under this method, the weighted-average cost per unit needs to be calculated first. This is done by dividing the cost of goods available for sale by the number of units available for sale. Based on the above information, the weighted-average cost per unit is $17.53, rounded to a cent ($5,260 / 300 units). Next, to determine the cost of goods sold we need to multiply the number of drills sold by the weighted-average cost. In our illustration, the cost of goods sold is $4,733.1 ($17.53 x 270 units). The net income is $6,066.9 ($10,800 – $5,057.1) and the income tax is $1,820.07 ($6,066.9 x 30%). Below you can see the accounting equation, which is partially divided. The first part shows purchase and sale recognition transactions. The second presents recognition of the cost of goods sold and income tax payment under different cost flow methods (FIFO, LIFO, and weighted-average). Note that some numbers in the table below are rounded. You have probably noticed that income before taxes is the highest for FIFO ($6,140) and the lowest for LIFO ($5,990). Why so? Note that the ending inventory balances are just vise versa for FIFO and LIFO (respectively, $600 and $450). And because cost of goods sold is the difference between the cost of goods available for sale and ending inventory, the net income before taxes is the highest under the cost flow method that provides for the highest ending inventory balance. So, the cost of goods sold under FIFO ($4,660) is lower than the cost of goods sold under LIFO ($5,810). The net income under FIFO cost flow method is greater than under other two methods. Thus, companies that employ FIFO pay higher income taxes. In contrast, companies using LIFO pay lower income taxes. We have seen how cost flow methods are applied if we have multiple layers, however arranged in a way so that sales go after purchases. But what happens if sales and purchases are mixed, like one purchase is followed by one sale, then again followed up by purchase(s) and sale(s)? In those situations nothing is different and all rules for FIFO, LIFO and weighted-average hold true. The following example will give you a good illustration of applying FIFO and LIFO for sales transactions that occur intermittently with purchases. Total number of goods available for sale for the period is 210 units (50 + 100 + 60). Total number of goods sold during the period is 190 units (120 + 70). Ending inventory at period end is 20 units (210-190). Recall that a perpetual inventory system means the inventory accounts are adjustment after each sale or purchase transaction. Under FIFO, the cost of the goods that were acquired by the company first is transferred from Inventory to Cost of Goods Sold upon a sale. In other words, when a sale takes place, the cost of units from the earliest inventory layer is expensed first. If there are not enough units in the first layer, the unit cost from the next layer is expensed and so on like that. In our example, on March 3 the company sold 120 units. To calculate the cost of goods sold for the 120 units, we take the 50 units from the first layer (beginning inventory, $10 per unit) and 70 items from the second layer (purchased on February 25, $12 per unit). This method requires that the cost of goods sold be determined by using the cost of units from the latest (newest) inventory layers. Therefore, when figuring out the cost of the 120 units sold on March 3, we need to take into calculation the cost of the 100 items from the second, latest layer (purchased on February 25, $12 per unit) and add the cost of 20 units from the first layer (beginning inventory, $10 per unit). The second layer is used first because it is newer than the first layer (beginning inventory). The two preceding examples above show the computations of the cost of goods sold and ending inventory assuming the perpetual inventory system. Under the periodic system, inventory accounts are not affected when purchases and sales take place. Instead, the Inventory Purchases account is used. The amount of ending inventory is determined by a physical count of inventory on hand at period end. The cost of goods sold is computed by subtracting the amount of ending inventory from the goods available for sale. Let us assume that the physical count at the end of the first half of 20X7 showed 20 units remaining on hand. The total amount of units sold is 190 (210-20). The resulting numbers appeared to be the same for FIFO and LIFO under the inventory perpetual and periodic systems. However, that is not so in all instances. Sometimes costs of goods sold for LIFO perpetual and LIFO periodic are different. So far we have been dealing with methods used to determine inventory costs (more specifically, the cost of goods sold and ending inventory). Once the cost of ending inventory is calculated, it is required to be compared with the current market value. Comparing the cost to market is the procedure for the lower of cost or market rule. The market value is the amount that would have been paid to replace the merchandise. Lower of cost or market rule states that if the market value of ending inventory is lower than the book value of such inventory, the resultant loss must be recognized in the current period. For item A, the cost is lower than the market value, so the lower of cost or market is the cost of $500. For B the market value is lower, so the lower of cost or market is the market value of $590. For items C and D the way of determining is identical. As for the aggregate, the total cost of the four items is $1,212, and their market value is $1,173. So, when applying the lower of cost or market rule for all inventory items in aggregate, the market value of $1,173 needs to be used for the ending inventory balance. The loss should be shown as an operating expense on the income statement. However, if the amount is immaterial, the loss can be included in the cost of goods sold. So, before application of the lower of cost or market rule, the ending inventory was $500. However, after performing a recalculation of the ending inventory by applying the lower of cost or market rule, the ending inventory was determined to be $450. The difference of $50 is included into the cost of goods sold for the period.